Now; better than, or very close to most W/C performance in both thermal and noise characteristics. I will get one. the XP90 is better then the XP-120, check the review! 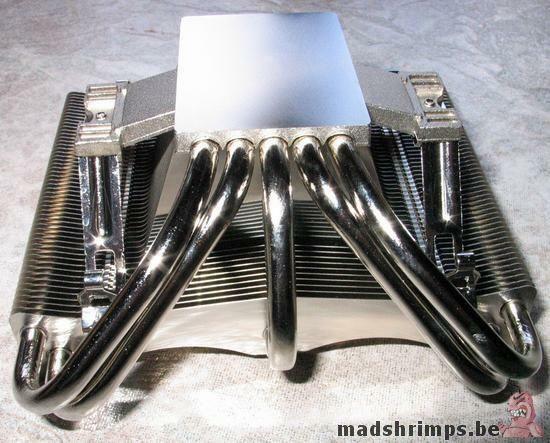 "Die Simulator results place Thermalright's XP-90 heatpipe in the topmost rank of P4 heatsinks tested to date "
1) does it look off-set from center to you or it's just optical elusion? 2) check the c/w ... sub 0.20 meaning well into W/C territory. 3) sound level ..... can't be any louder than two 120mm fan running outside the case. 4) Put a CV on top ....... man ....... I'm happy. The question remains on how much off-set.